Spanish Prime Minister Mariano Rajoy is poised to suspend Catalonia’s autonomy and impose direct rule, over the restive region’s independence moves. Rajoy is to hold a special cabinet meeting on Saturday that could trigger the move. Invoking Article 155 will be an act unprecedented since Spain’s return to democracy in the late 1970s. The Socialist opposition backs him but wants the measures to be limited. 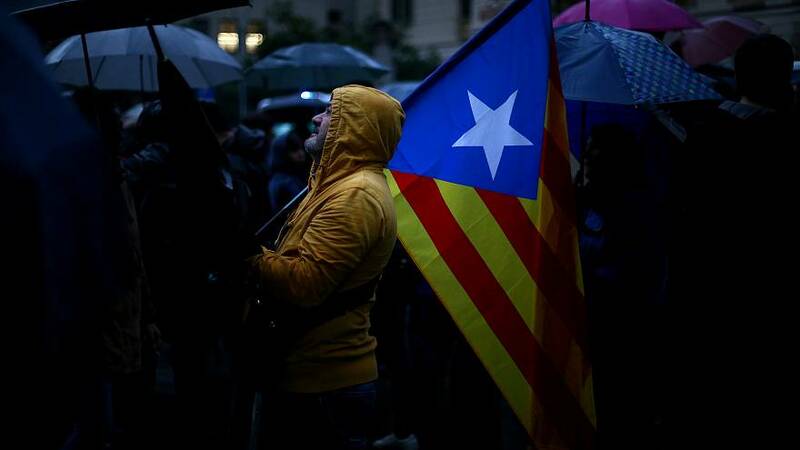 “From our point of view, in this desire to seek certainty and security, the idea of the intervention must be clear from the beginning to the end: limited, brief and always with the horizon of restoring democratic normality, the functioning of institutions, and particularly the preservation of Catalan self-government,” said Socialist party spokesman Jose Luis Abalos. But Rajoy won’t have the backing of the far-left Podemos party. “Applying Article 155 takes our country into unchartered territory,” said Podemos leader Pablo Iglesias. After the violent police crackdown on Catalonia’s October 1 referendum day, further confrontation now seems inevitable. The European Union has declined to help mediate, saying the crisis is for Madrid and Barcelona to resolve.